This is the English version of a paper published in German in Melodie und Rhythmus, March/April 2015, p. 64. This paper was written as the 'pro' opinion in answer to the question if Lady Gaga embodies a new form of feminism and progressive pop culture. This is the text of the complete unedited English version submitted to the magazine. An excerpt of the German original, along with an opposing opinion, is available online. Please cite as: Deflem, Mathieu. 2015. "Die Pop-Revolutionärin." 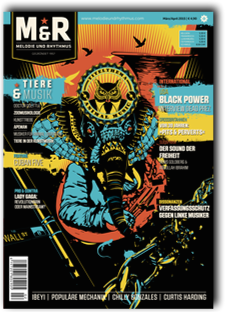 Melodie und Rhythmus (20), March/April 2015, p. 64. English translation online via www.mathieudeflem.net. Lady Gaga cannot claim that she is trying to revolutionize pop music. Lady Gaga has revolutionized pop music. She arrived onto the international music scene in 2009, now six whole years ago, when she scored hit after hit with such songs a “Just Dance,” “Poker Face,” “Paparazzi”, and “Bad Romance.” Since then, she has been able to do what many thought no longer possible: to forge a pop star career in this era of digital downloads and social networking sites. Far beyond the imagination of the old and worn-out concepts of popular music that once could be sustained because of the commercial blackmail of a greedy, teenage-abusing music industry, Lady Gaga has painted the canvas of pop music anew. Her fame as well as that of her fans and the audience that looks on are a testimony to the undeniable impact of her work. Lady Gaga does not provoke with her style choices. Instead, she practices and lives her art in musical ways as well as by way of her fashion. Shock and provocation are old values attached to the visual dimensions of pop, especially during the MTV era, that no longer apply. Such outdated notions Lady Gaga has not needed to abide by, as she never even had to hold on to them. Instead, she engages in an aesthetic practice that needs no explanation, at least not for those who enjoy and participate in Gaga’s world rather than those who are merely looking in every now and then. Lady Gaga is neither undermining the prevailing ideals of (female) beauty nor is she mainstream. Such distinctions no longer apply, precisely because they are not even considered. Likewise, Gaga’s persona is sexualized in ways specific to her style and message, not on the basis of nor specifically contrary to pre-existing modalities. Heralding a new form of feminism and progressive pop culture would imply that the old forms of feminism and conventional pop would still be relevant to Lady Gaga, if only to be opposed. They are not. Lady Gaga’s success is the result of a marketing strategy, at least in part. Which artist could there possibly be whose work is globally or even locally well-known and celebrated without marketing? The very notion of popular music, whether it be in the world of pop, rock, jazz or any other stylistic genre, implies a commercial approach and demands from the artist all due practical considerations. As communication, music needs an audience. But music and art also need a foundational basis that is aesthetically accomplished. The successful marketing of Lady Gaga could therefore only occur as a result of her talent, hard work, drive, and dedication. Lady Gaga is the star’s real name. Her legal name since birth is as irrelevant to the history, present and future of popular music as the names of the likes of Robert Zimmerman, Reginald Dwight, and Paul Hewson once were, and so many others now are. The stars who use their legal first names as their artist names (Madonna, Prince) are the revolutionaries of old. Their continued presence, inasmuch as it exists, is nostalgic. Today, Lady Gaga is moving on to the next stage of her career. Mathieu Deflem is Professor of Sociology at the University of South Carolina. An expert in law, social control, and popular culture, he has taught and published widely on a variety of topics such as counterterrorism, policing, the theories of Jürgen Habermas, and the cinema of Alfred Hitchcock. 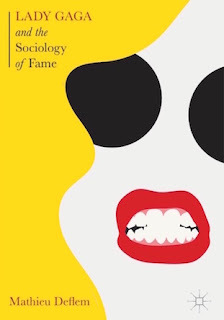 In the fall of 2010, he announced the teaching of a university course, “Lady Gaga and the Sociology of the Fame,” which gained world-wide notoriety. Much of his writings are available via his website: www.mathieudeflem.net.